In a yoga class I took yesterday, the teacher made a comment that caught my attention. She said that we live in a personal sphere, the space taken up by outspread arms and legs. As we age and become more fearful of missteps, we shrink into the center of our spheres, shortening our stride, hunching into ourselves. Even if we’re not to the point where age is making us shrink into that sphere, our sedentary ways certainly do. Here I am sitting at a computer, taking up very little space, making tiny movements of fingers, eyes, head. Not exactly using the whole sphere of my being, am I? So I paused, stretched out my arms, and suddenly I’m not so hunched into my space any more, and I feel a tad more alert. Grief has the effect of drawing us away from the outer limits of that sphere, too. Life has dealt us the worst blow of all when it removes the one person who connects us to the world, and we shrink from additional punches. As my grief has waned, I have tried to open myself up to the world, going out to the desert, flinging my arms wide, taking deep breaths, but until now, I’ve never paid any attention to my personal sphere. A beautiful image, isn’t it? Living in our own sphere, on the sphere of the earth, in the sphere of our solar system, on the edge of the sphere of our galaxy. Okay, so the galaxy isn’t a sphere, but still, it’s an interesting concept, all these spheres within spheres. It doesn’t take any training to live more fully within one’s sphere. All we have to do is unfold our arms, raise our ribcage, lift our head, roll back our shoulders, take longer strides. I tried taking longer strides today while out walking, and it felt good for the first twenty minutes or so, and then — ouch, ouch, ouch. I could feel the painful stretch of my inner thighs. Apparently, without my even being aware of it, I’ve been taking smaller and smaller steps. I will keep at it and see where this awareness of my personal sphere takes me. Perhaps it will help me live more expansively, maybe even help me think more expansively. At the very least, using more of my personal space will help my posture, and that in itself is not a bad thing. You know the funny thing about writers; we may sit at desks and write in notebooks or type in computers, but we are also encouraged to go out and see the world, to get as many experiences into our lives as possible in order to better our writing. We may be within our own spheres when we write, but to write we have to reach outside of our spheres. Actually, we are always within our spheres, it’s just a matter of how much space we want to take up in our personal sphere. 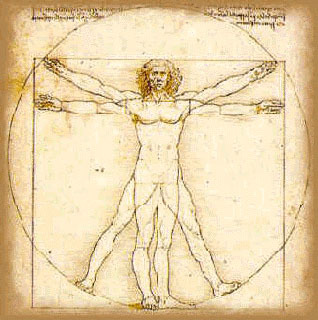 By using the entire sphere of space our bodies can take up, we are opening ourselve to both inner and outer exploration. Pat one of the things I have loved about your journey is your willingness to embrace newness, to be open to possibilities, to try different ways. This is so important for all people journeying through the grief process. It is so true that grief tends to make people ‘hunch over’, withdrawing into a tiny reality but in doing so they close to possibilities and thus to healing. You are such a great role model to others! Embracing newness was the only way I could handle his death and DEATH itself. I couldn’t bear to look back, I hated looking forward to my own end, so my only choice was to make a different present. I will always be grateful for your support. Because I knew you were watching out for me, I wasn’t as fearful embracing grief in all its permutations. I knew you would let me know if I strayed into dangerous territories. Thank you. Although I agree wholeheartedly that it is important to stretch ourselves to encompass more of the outside world I have also found that I have a huge undiscovered territory within my own “self” which I have only now just begun to explore. The sphere isn’t so much about encompassing more of the outside world as it is encompassing more of ourselves. I have a hunch that by physically unshrinking, we will also mentally unshrink. Wishing you great explorations. It is uncomfortable when we begin to step outside of our comfort zone. But after we allow our comfort zone to expand, it really feels good! I love that image of stretching your personal space instead of shrinking into the center. Great post! Yes, that’s exactly what that sphere is — not just our personal space, but our comfort zone. I hadn’t thought of that. By taking advantage of the entire space, we give ourselves a bit more comfort, not less.